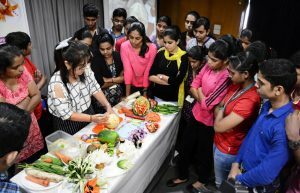 With an attitude to gain knowledge on the skills of fruit and vegetable carving, 89 students along with some parents attended The Navhind Times Planet J workshop on September 18 at the Dempo House in Panaji. 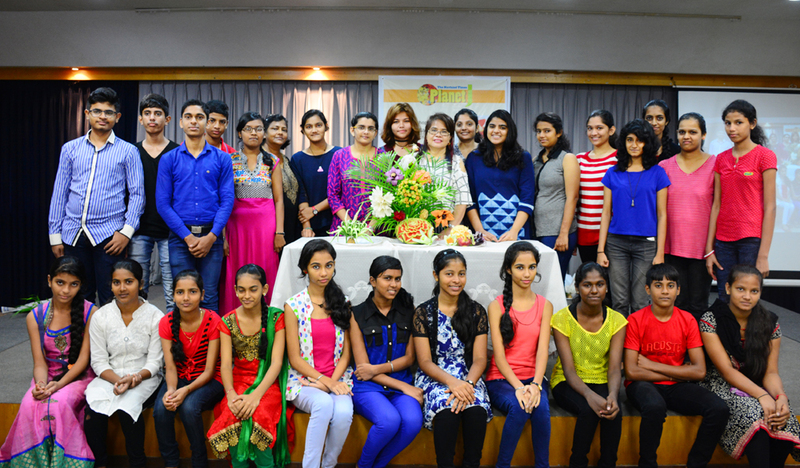 The three-hour workshop aimed at giving youngsters tips on how to create edible art from simple vegetables and fruits. 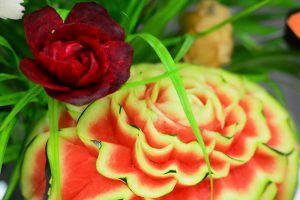 Conducted by carving artist Taeng Orn Silva, the workshop was an attractive mix of education and fun with student’s creativity shining through in the practical session. Silva commenced the workshop with a brief history about herself and her journey in the field of carving. Stressing on how her hobby turned into her livelihood, she encouraged participants to learn the art, which she said: “Will always come handy.” She then familiarised participants with the different types of knives and techniques of carving. Holding the knife correctly and controlling it, she reiterated was very important. Starting with a cucumber, she showed participants how different vegetables and fruits like tomatoes, carrots, onions, potatoes, lady fingers, brinjals, ivy gourd (tendli) and apples could be turned into works of art. Keeping in mind that most participants were new to the art, she kept her creations simple yet absolutely beautiful. 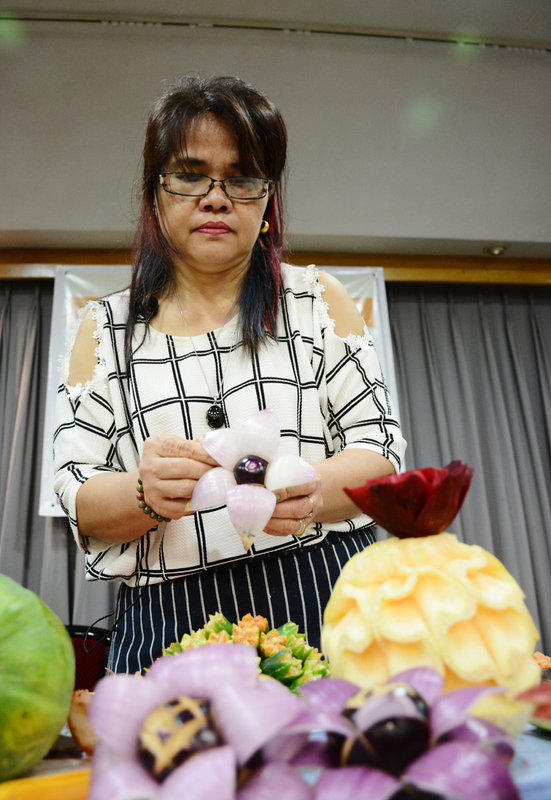 Participants were mesmerised by her dexterity and were glued to the screen as they watched her create amazing flowers and birds using a simple knife and toothpicks. 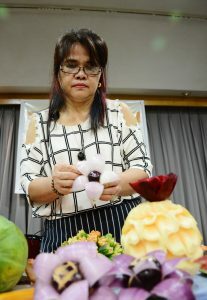 In the concluding part of the session, she explained the technique of deep carving and demonstrated the same on a watermelon and mash melon. She then assembled all her creations on a custom-made stand and the final outcome could only be described as amazing! After the demonstration, participants were more than ready to try their hand at what they had learnt from Silva who along with her two daughters and students went from table to table teaching the youngsters how to go about with the carving. 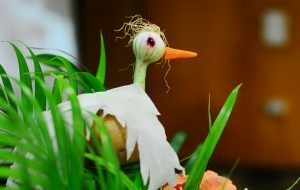 The buzz and excitement was very contagious and every single participant replicated at least one of Silva’s creations. Some were more ambitious and made several carvings. “Practice will help you get better. Be patient, don’t give up and you can do wonders,” she said to each table. 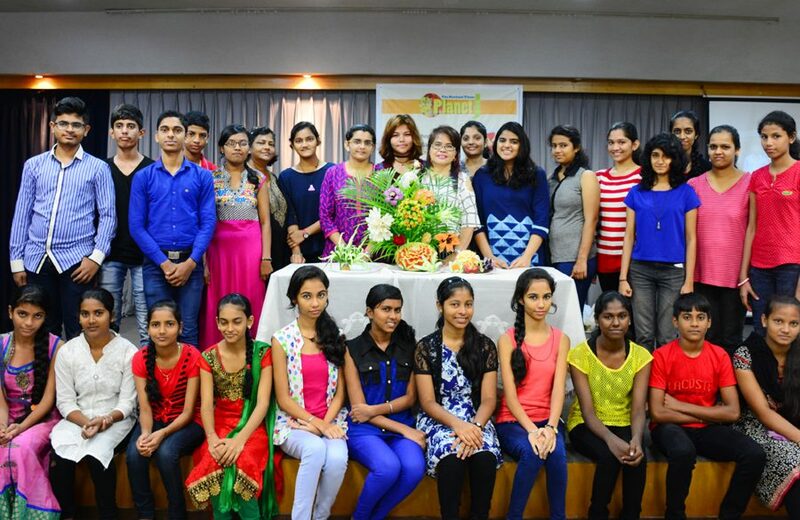 Her encouraging words and invaluable tips gave a boost to all present. Not only did I learn a lot but I had loads of fun. The workshop was amazing. Enjoyed as well as learnt. Thanks Navhind Times. It was a super experience. Great workshop with all basics covered. Thank you Navhind Times and Ma’am Taeng. An interesting workshop and a nice experience. Looking forward to attending such workshops. Thank you Navhind Times for organising it. Amazing workshop. I have learnt how to make boring food look good. This technique will last with me for a lifetime. It was an interesting and amazing workshop and I learnt things I didn’t know. Overwhelming experience and I just loved it! Got to learn beautiful things in only a few hours. Enjoyed thoroughly. Thanks to Planet J for giving me this opportunity. Awesome workshop and I enjoyed a lot. Got to learn amazing carvings from Taeng. The workshop was really very effective and will help me in the future. What I learnt was very beautiful and creative art. Fruit and vegetable carving may appear easy but after trying it I realise the amount of patience it requires. Thanks for organising something like this for all of us. It was an amazing experience and hope to come for more workshops. This was my second Planet J workshop and I enjoyed this one even more than the last. Waiting eagerly for the next one. We all learnt so much and had fun as well. I really enjoyed making the flowers even though they were not perfect. I would love to learn more about this amazing art. The workshop was very good, loved it! Thank you for a lovely workshop. I enjoyed a lot and learnt even more. It was indeed a very good workshop and extremely enjoyable. I am surely going to make my loved ones happy with the art I learnt. Thanks Navhind Times and Ma’am Taeng. The workshop was interesting. We all enjoyed it. A creative workshop and I learnt something new. I think I have utilised my Sunday creatively instead of wasting it by sleeping until late. The workshop was superb, I enjoyed every moment and gained a lot of knowledge. I had never attended a workshop like this. I learnt so many new things to do with fruits and vegetables besides eating it. Waiting for more workshops. Thank you Ma’am Taeng for teaching us such a lovely and beautiful thing. Thanks Navhind Times for an amazing workshop.